Pre-Diet Treatment: Cranberry Flush and Liver Cleanse. This first of the Vitality Diet Phases is recommended but optional. Dr. Spurlock’s cranberry flush protocol helps to detox the lymphatic system. A proprietary, high protein shake taken twice daily aids in detoxifying the liver. These two body cleansing techniques work synergistically together to enable the body to break down fat more efficiently over the course of the diet. The liver cleanse includes taking a pharmaceutical grade liver detoxifying powder mixed in water, juice, or a smoothie for 10 days. The cranberry flush involves drinking a water and cranberry juice mixture daily for two weeks. These two can be taken together or individually. During this period, normal eating habits are practiced. This phase is typically simple and easy to follow. During the first three days of HCG use, patients are to eat as many high fat foods as they can. This prepares the body for a low caloric diet in the following phases. Some healthy and recommended fats include avocados, cheeses, and nuts. Make sure to include plenty of fiber during this phase to steer clear of digestive problems. On the fourth day of HCG use, patients begin a low caloric diet. The allowed foods list is rather strict. Included are a few particular vegetables, certain fruits that are low in sugar, and lean meats. Dieters may consume only one type of fruit and one type of vegetable per meal. The same type of meat may never be eaten for two meals in a row. Tea and coffee is permitted but can only be consumed with sweeteners from the approved list and may not contain more than 1 tablespoon of milk. Don’t panic! Vitality Cooking Classes and the Vitality Cookbook include creative ways to prepare food and make the diet easy and simple. During the last three days of the low caloric diet, the use of HCG is discontinued. The HCG hormone must be completely out of the patient’s system when normal amounts of calories are reintroduced into the body. 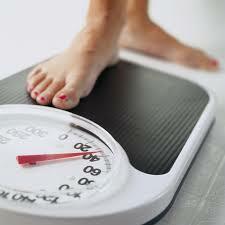 If the HCG is not cleared, the body will store the calories and the weight gain will start again. This phase includes three weeks of eating all foods except for any form of sugar or starch. Patients can eat proteins, vegetables, healthy oils and fats, but abstain from eating any sugar or simple carbs including very sweet fruit during this phase. Small amounts of carbs are slowly added back into the patient’s diet. The various Vitality Diet phases make it easier to follow the entire diet. Several days of gorging in the beginning (phase one) make it much easier to start the low calorie diet (phase two). The maintenance stage allows you to eat normal calorie intake, but it sets you up to be able to maintain your new lower weight levels. Many people have seen excellent results on their weight loss journey, as well as a boosted quality of life. At Renewed Vitality, we are dedicated to helping you lose weight in the easiest way possible. We provide the tools and support you need at every step in the process.